Tarps Plus Blog: Need Tarps for Natural Disasters? When the unfortunate happens and a natural disaster strikes, Tarps are always helpful. Tarps can shelter people and cover homes if roof is no longer in tact or anything is damaged. 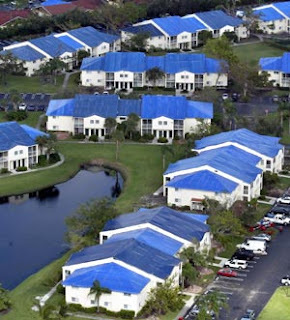 Tarps Plus was there for the tsunami, hurricane Catrina and many other disasters. Tarps are a must have when a natural disaster happen they are helpful for so much there is no way to not have them. When purchased in large quantity a discount will be applied to the tarp order, expedite delivery is available and many sizes, colors, and quality are available. Come in to the tarps plus store and give the sales agents a call if any important directions are needed or for quantity pricing on tarps. I love these tarps. Tarps plus is absolutely a life saver. My roof to my house caved in and a storm was on its way. I called Tarpsplus and they had tarps shipped to me asap. Thanks Tarps plus. These hurricane tarps are perfect for our rainy,stormy weather. At, first i didn't think these tarps would withstand the strong force of a storm, but I was wrong. These tarps are very helpful, they were shipped to me within 2days of the purchase and they have really come in handy. Thank You very much. I needed some tarps for a large school project and was happy to how fast they were delivered.